Fortunately, the flat we rented was within walking distance, about 800 meters, from their meeting place. We arrived to a warm welcome by a sweet sister, Rosa Mezza, who spoke English and has lived for a period of time in the states. As people arrived, who spoke only Italian we were greeted with nods, smiles and a friendly “Buongiorno”! 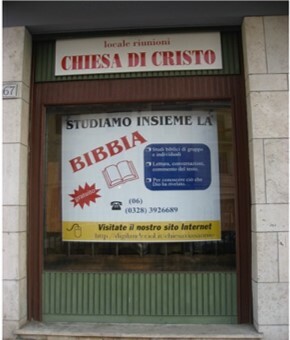 Their local preacher, Stefano Corazza, was away working with David Thomley in Northern Italy. 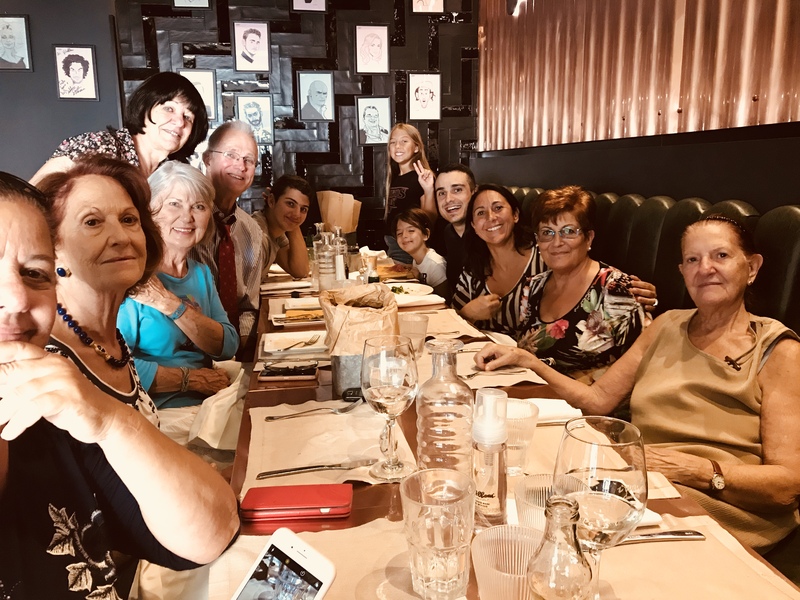 But Marco di Martino, the preacher from a church in the suburbs of Rome, Ciampino, which meets in the evening, very passionately preached and taught the Bible class. Marco greeted us in English, but apologized that his English was “not so good,” (although I thought it was very good), and could not translate his sermon for us. However, he gave us a quick overview in English as he began the lesson from the book of Ruth. With the aid of his powerpoint we were able to follow along. Although in Italian, several of the songs had familiar tunes that we easily recognized and could softly sing in English and make melody in our hearts. The communion service reminded us of our kinship in Christ with these brothers and sisters as we ate the bread and drank the wine. After the service, we met others who spoke English, including Clelia Barbardoro who had ties to the United States. 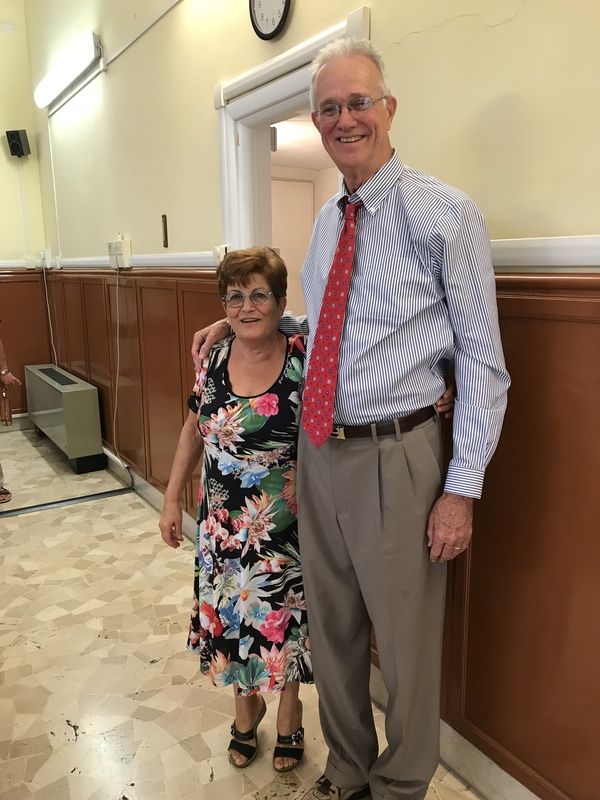 Of course, we had several mutual friends including David Thomley who has frequently visited Italy and engaged in a wonderful work of teaching, preaching and equipping the brethren. From the meeting house 15 of us walked to a nearby restaurant where we were treated to a wonderful Italian meal. This may have been my first 3 hour lunch. While the food was delicious, the fellowship we enjoyed was even better. As the lunch grew longer, the laughter and the animated conversations grew louder, joyous friendship and warm fellowship filled our hearts. Norma Jean remarked when we returned to our flat how amazing it was that we could be 6000 miles from home, attend worship where a different language was spoken, but feel such a closeness and comradeship with these brethren. We leave Rome tomorrow and head back to the states with many precious memories, but none greater than worshiping with the brethren in Rome. Indeed, as we sang at the end of the service “Marciamo per Sion.” Yes, we are all marching on to Zion! Like Paul (Rom 15:24), through the years, I often have wished that Marilyn and I could someday meet the saints in Rome. Thanks for the inspiring story. When we attended Webb Chapel Church Of Christ we used to have a yearly Mission Forum. It was the highlight of the year for that congregation. One of my favorite things was that before communion on Sunday there was a well traveled minister that used to tell us about churches from around the world that were meeting that same day, tell us when they met, and some of the traditions they followed as they shared the Lord’s Supper. That had a way of binding me to people from around that world that I would never meet as brothers and sisters in Christ. We have not worshiped outside of the US but no matter where we travel, when we worship with the Lord’s people, we are worshiping with family. It is a wonderful blessing of being in Christ. We have followed your travels in Canada and now along the Med. Sea with great interest. It is exciting that you were able to enjoy this trip of a lifetime together while being an encouragement to the local saints there. May God continue to bless you both on your return trip to Florida! 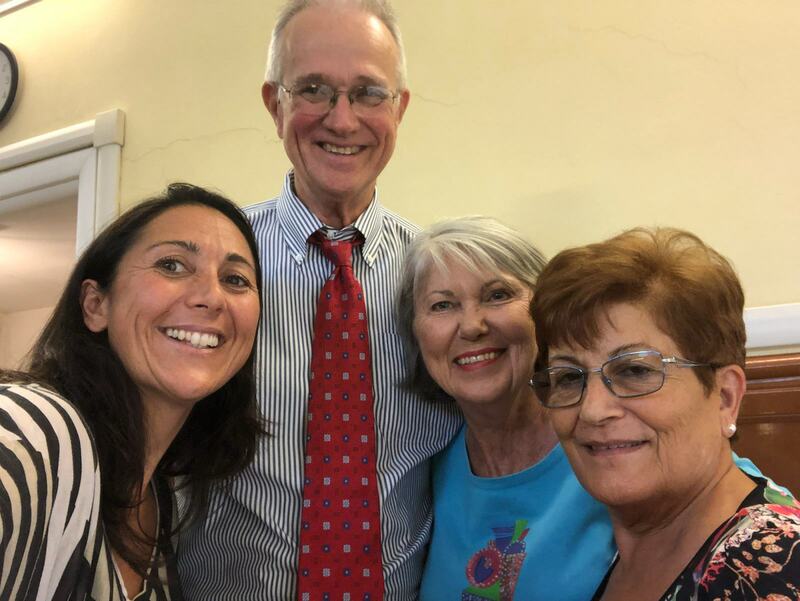 My wife and I worshipped with the Via Sannio congregation in May 2017 and were also encouraged by the warmth of our welcome and the kinship in our relationship through Christ. Even with the powerpoint being in italian, we were able to the point of the message because the scripture references were provided. It was also interesting to look at their visitor book and see the numerous others who had worshipped with them, some whom we actually knew! Glad to hear that they are doing well, and that you had a memorable trip.